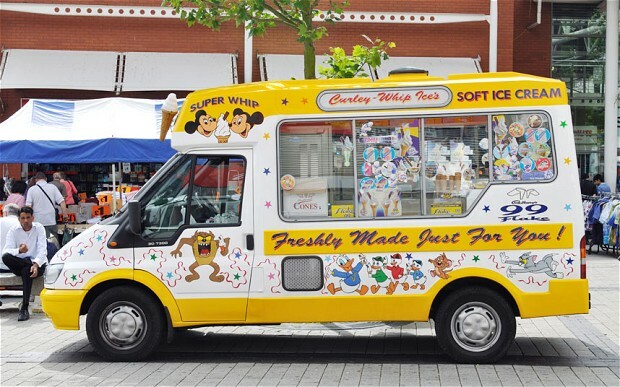 The traditional summertime sound of the ice cream van chime has, for decades, been music to the ears of pensioners, as well as children, who duly venture outside for a weekly treat. But a city council's decision to ban vendors from pausing on the street for longer than 15 minutes has caused great upset amongst the elderly, who fear they won't make it to the van in time. The crackdown has been branded "ridiculous" and prompted more than 65 people, many of them pensioners, to write to town hall chiefs, warning that they are too frail to adhere to such a time limit. Previously, ice cream vans were allowed to remain static for 20 minutes but could stay as long as they liked if they had a queue. The new rules mean that they must leave their spot within 15 minutes, only staying an extra quarter-of-an-hour maximum if there are people waiting. If they breach the 30-minute limit, they face having their licence to trade revoked. Pensioners have been writing in to point out that, given the NHS' ability to perform hip replacements, it can take them 30 minutes to get to the van. But our objection is not to what this rule is, it's to the existence of the rule at all. This is clearly and obviously something that can be left to the market unadorned to solve. After all, the point of the ice cream van is that it is mobile: it goes to where the customers are. If there are none it will move on: if there're lots it will stay longer. This is what we want: our aim is always to at least attempt to increase the consumption opportunities of the population and "stay if you've got customers, move if you don't" obviously maximises that, our goal. This regulation is not just therefore ridiculous (seriously, that grown adults working on the taxpayers' money, even dream of the idea that the parking time of an ice cream van needs regulating?) it is counter-productive, it takes us further away from our aim of maximising the people getting what the people want. We have therefore reached Peak Government, we have solved all possible problems and are now left meddling where there is no need to. Which, while the thought that anyone tried to regulate Mr. Whippy is depressing, is actually a cheerful message, isn't it? For now we have ahead of us the pleasant task of firing the politicians given that their predecessors have already managed to complete the necessary tasks. The simple existence of a set of parking time regulations for ice cream vans proves that this is so. If there’s anything the EU does well, it’s petty bureaucratic interference that worsens the problem it’s purporting to fix. It was, then, probably a mere matter of time before this approach would lead them to blunder towards e-cigarettes and propose policies that, effectively, promote cancer. The EU is making moves towards increasing tax on e-cigarettes by classifying them as a tobacco product and setting a minimum excise duty. This will, of course, lead to the price of e-cigarettes significantly increasing. The logic appears to be that smoking is a demerit good that harms the consumer and imposes third party costs. Given the market fails to factor this into the price, the government steps in and places a ‘sin tax’ on the good, in order to discourage its harmful consumption. Regardless of your views on the effectiveness or desirability of these policies with regards to smoking, there is a small problem with treating e-cigarettes the same way. They do not contain tobacco. Vaping, whatever its risks and flaws, is not smoking. In fact, most vapers use e-cigarettes as a substitute in order to give up smoking, with almost one million doing so successfully. Whilst largely motivated by the (comparatively) lower risks of inhaling nicotine without tobacco, the considerably lower price of e-cigarettes is another major attraction (the smoother feel, the better taste, and the less unpleasant smell don’t hurt either). Anyone familiar with basic economics understands that raising the price of a product will make more people buy a substitute instead. In the case of smoking, which is more than a little habit forming, this is even more likely to lead people to stick with their established habit rather than switching to the alternative. It is true that the risks of vaping are not yet fully known. However, the research that has been done indicates that it is 95% healthier than smoking. And, in any case, punitive taxation and crushing regulation can only be justified when the cost of intervention is outweighed by the activity’s perceived cost to third parties. It is arguable that this standard has been met for tobacco. It is absurd to think it applies to vaping. The motivation for this move is probably the tax revenue that EU Member States fear they will lose if people switch from tobacco to vaping. This seems a poor excuse for imposing a policy that effectively protects carcinogenic products from competition. This also appears to be an incredibly misguided move in the build-up to the Brexit referendum. This is a drum which one of us has been banging for some time now. You cannot just wave away the effects on unemployment of the Living Wage by muttering about productivity. Increased productivity is using less labour. If businesses can increase productivity there is less likely to be a risk of higher unemployment as a result of the introduction of the National Living Wage. This is true only in a very particular sense. In other senses, increasing productivitymeans raising unemployment. As Chris Dillow goes on to point out, productivity is the amount of output we get from a particular input of labour. Or, of course, it's possible to reduce the amount of labour and get the same output. Thus the problem if people say that business can simply deal with higher imposed wages if only they increase productivity. If it takes us currently the labour of 10 people to make 100 hamburgers an hour, and we raise wages and thus effort is made to raise productivity, perhaps through automation or by the manager buying a whip, we then have 5 people making 100 hamburgers an hour. Or perhaps we have 10 people making 200. We have now raised productivity and sure, the late nite eatery can now afford its higher wage bill. But note what else has happened. We are either using half the labour we used to in order to produce the same number of comestibles, or we are using half the number we would have used to make the larger amount. Thus the argument that productivity increases will take care of higher wages is not an answer to the insistence that higher imposed wages will cause the use of less labour. Far from being a rejection of the point it's just an explanation of that very same point, the reason why it will happen. The answer is obvious not because it's the EU, nor because of free trade or anything else like that. It's obvious because of the form the subsidies take. Currently farm subsidies are pretty much entirely an area based payment. Have one acre, get x, have 1,000 acres, get 1,000x. Not entirely but close enough, that's the system. What does David Ricardo tell us about a rise in rent? It gets very quickly capitalised into the value of the land itself. And of course an annual payment, unconnected with anything very much other than the area of land owned is equal to a rise in rent. So, all that the current subsidy scheme does is push up the price of farming land. Which is lovely for those who already own it and wish to sell. But of course it just increases the capital requirements for those who wish to enter the field, or who wish to expand their operations. The end result is more capital, or more borrowings and thus interest, and at very best the farmers are back where they started before the subsidy scheme was set up. All the current subsidy process does is raise the cost of the major input into farming, the land itself. It's a ludicrous system of subsidy. And farmers and everyone else would be better off if the system simply did not exist. That leaving would enable us to abolish that system, although of course the usual political cravenness in the face of the farmers means that we probably wouldn't, which would be a good idea. This is not to take a view on Brexit specifically: it's only that the current system of farming subsidies is simply ludicrous and anything at all that would allow is to get out of it would be both useful and sensible. Dawn Foster is a writer on politics, social affairs and economics for The Guardian, London Review of Books, Independent and Times Literary Supplement, and is a regular political commentator for Sky News, Channel 4 News, and BBC Newsnight. Her first book, Lean Out, is on feminism, austerity and corporate culture. Among us here at the ASI we have written for or appeared on near all of those outlets and the absolutely standard contract for all of them is a zero hours contract. It could be that this outpouring of protest is really a deeply buried attack on the media's own hiring practices, by those doing that very media reporting but we're really unsure as to whether people are being that Machiavellian. And observing the sharp elbowed jostle to gain absolutely any such work from any of those media outlets we really don't think people are protesting about their own employment. Thus we're just left with the rather puzzling observation that zero hours contracts seem to be just fine for the middle class literati but obviously no one else should be allowed to enjoy the same employment structure. Which is, when you think about it, rather odd really. In a column for the Huffington Post, I’ve asked whether small business outcry over changes to Sunday Trading Laws is justified. From Autumn 2016, prohibitions limiting large stores (with a floor space of over 3,000 sq ft) from opening on Sundays for more than six hours will be lifted – an announcement which has led to claims that this will only see more trade moving to larger stores at the expense of smaller shops. Yet the evidence (research, polls and local borough reports), does not suggest that small businesses will suffer from their larger rivals opening for longer. One Australian study, for example, “found no relationship between the proportion of small retail businesses and the stringency of trading hours regulation in each state”. A fifth of consumers have said they would do more shopping on a Sunday were the changes implemented, meaning more customers for everyone – and another way for bricks-and-mortar stores to compete with online retailers. 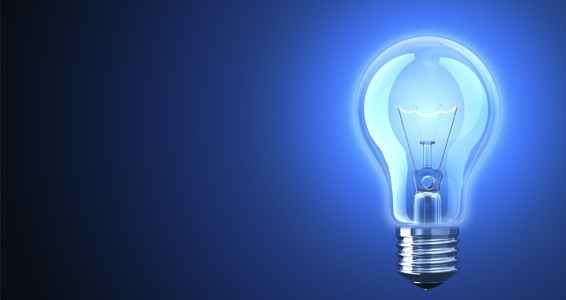 And rather than wishing the competition be banned from trading, small business owners – many of whom are disruptive by nature – should view this proposal as an opportunity to find new ways to innovate and outsmart their larger rivals. 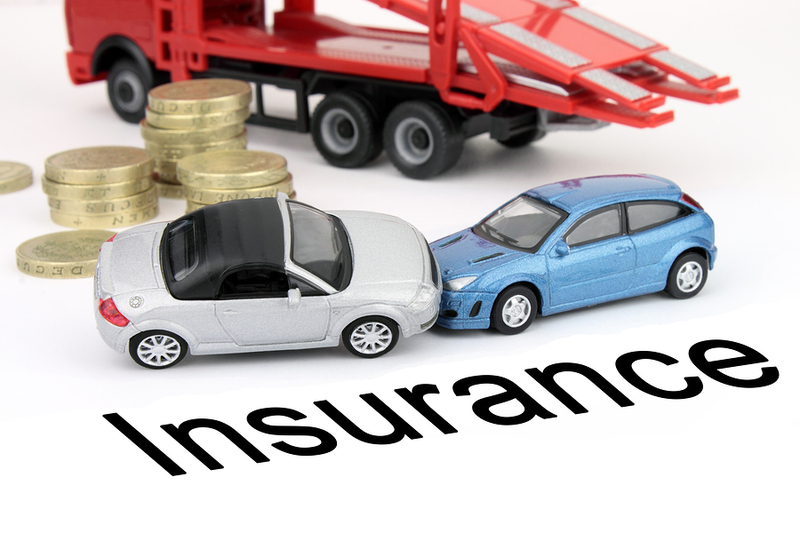 The European Court of Justice (ECJ) has ruled that the long-established practice of setting insurance prices according to gender is illegal discrimination. The Court's decision forced members of the European Union to introduce a ban on gender-based pricing. So, in basic terms, car insurers used to yield to market-based risk calculation (using a reliable tool called actuarial mathematics) and offer statistically safer drivers cheaper premiums (perfectly sensibly, in my view). Then the EU decided that it's much better to ignore all this data and assent to a spurious anti-unfair-discrimination policy, while failing to see the irony that in penalising statistically safer people for purposes of parity they are unfairly discriminating against safer drivers. This is beyond absurd. The primary measure of unfair discrimination in actuarial analyses is not treating different people differently, it is treating different people the same. Women are statistically safer drivers than men, which means they are cheaper customers, which means to increase their premium to the same as men is to unfairly discriminate against women. The reasons why women are safer drivers are well known. Women are, on average, less likely to have fast cars, they drive fewer miles, they drive slower, they take fewer risks, and they are less aggressive than men. Giving women a lower premium based on those facts amounts to a simple and rational statistical evaluation of risk. The same is true of other considerations too - age, post code, miles per year, type of car, and so forth - each of these are important factors in risk evaluation, and the ECJ should leave well alone. The free market is the best tool for eradicating unfair discrimination in business, because pretty much any time a company decided to discriminate against women, black people, gay people, tall people, fat people, or whomever, they would pay for it with a reduction in profits*. Of course, we know the probable motive in the ECJ's equalisation of gender - it is to guard against people with identical data having different premiums based solely on gender. But that misses the whole quintessence of how competition works in the free market. Suppose we have Jack and Jill, who are the same age, with the same car, same post code, and driving the same miles per year - the ECJ would have it that they should be given equal premiums because to do otherwise would be to discriminate on the only variable factor - gender. But that is not what happens - while the data picks up facts like age, car type, post code, and miles per year, it doesn't account for those significant differences - speed of driving, risk-taking, aggression and other factors of mentality behind the wheel that make women more likely to be safer and have fewer accidents, and better candidates for cheaper premiums. The ECJ is guarding against the general being applied to the particular - but this is part of what makes competitive business healthy. In a free market we can work under an assumption of cheaper insurance premiums for a safer driving record at the individual level anyway - so it's a law that only actually compounds what already happens. But we can extend far beyond that too - competing firms can solicit new custom by offering deals to acquire that custom. This proves very effective in the insurance market: some providers specialise in good deals for modified cars (like my modified Subaru), some specialise in good deals for women, some specialise in good deals for the elderly, some for first time drivers, and so on. Insurance companies have asymmetry of information when it comes to those vital premium-changers - they have transparency with data like age, post code, miles per year, type of car - but they don't have anything like the same transparency with things like speed of driving, risk-taking, aggression and other factors of mentality behind the wheel - which is where the actuary matters. A company that's free to offer deals for women is acting on probability related to those invisible factors - but that also means women are free to look for insurers sensitive to such data, as are Subaru drivers, as are the elderly, and so forth. That's how beautifully the market for insurance rewards this innovation. If women are consistently safer, then they are consistently on average cheaper customers, which rewards those companies that are prepared in response to lower the premium for women. But if the data is spurious and women are less consistently as safe as the premium indicates then those same companies will incur a loss and adjust their women-favoured premiums to accord with that. It's a hugely efficient system that the ECJ hasn't properly factored into its considerations.